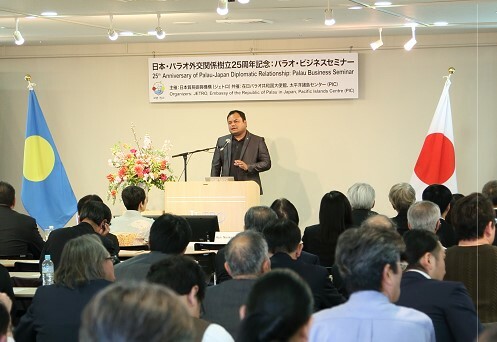 On March 11th, Japan External Trade Organization(JETRO) hosted “Palau Business Seminar” in commemoration of the 25th anniversary of establishing diplomatic relationship between Palau and Japan ; cohosted by Embassy of the Republic of Palau in Japan and Pacific Islands Centre(PIC). The seminar was well attended by over 130 people showing high interests in the country. In the opening remarks, Dr. Yuri SATO, Executive Vice President of JETRO welcomed and expressed her gratitude to H.E. Mr. Tommy E. REMENGESAU, Jr., President of the Republic of Palau and related parties for being able to hold the seminar, by coinciding with the official visit of H.E. 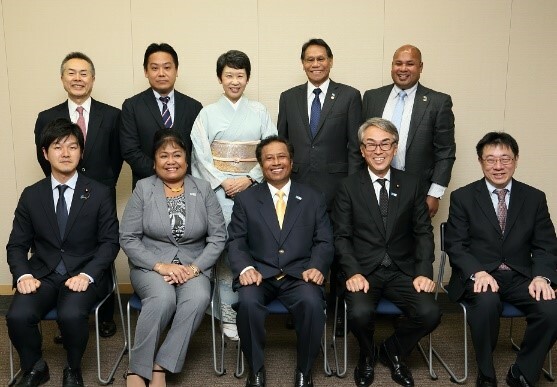 President REMENGESAU to Japan, just three short months after the dispatch of Joint Public Private Economic Mission to Palau last year. Hon. Norikazu SUZUKI, Parliamentary Vice-Minister for Foreign Affairs and Hon. Nobuteru ISHIHARA, Chairman of Japan-Palau Parliamentary Friendship League gave welcoming remarks followed by Keynote Address by H.E. President REMENGESAU. In his speech, H.E. President REMENGESAU described about the government’s approach to streamline of investment approval procedure and taxation system for driving further cooperative effort with responsible investors in the field of tourism, infrastructure and construction. The following presentations were given as below by the people familiar with Palau and Japan. Appeal of Palau’s attractive investment environment by Mr. Kaleb Udui, Policy Advisor, Office of the President, Republic of Palau. Showcase a sustainable and responsible approach for development of tourism industry by Mr. Kevin Mesebeluu, Director, Bureau of Tourism, Ministry of Natural Resources, Environment, and Tourism. 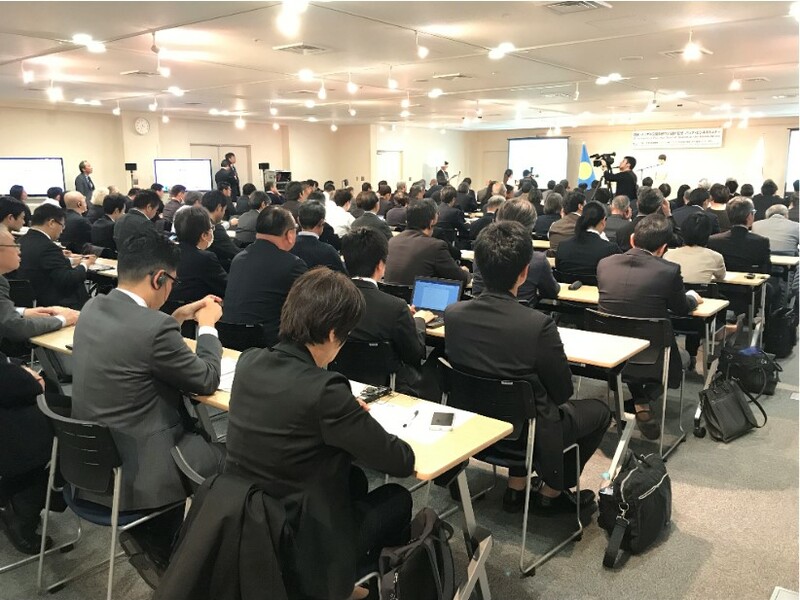 Report on Palau Business Mission (Brief rundown of Palau Business Mission in December 2018), by Mr. Ryuzo SAITO, Director, Pacific Islands Centre. Report on success case by Japanese company, “Introduction of Palau International Airport Project (Summary report of Palau International Airport expansion project) by Mr. Masahiro ASAEDA- one of the participants of Palau Business Mission-Deputy Manager, Airport Project Section, Airport & Transportation Infrastructure Department, Aerospace & Transportation Project Division, Sojitz Corporation. H.E. Francis MATSUTARO, Ambassador Extraordinary and Plenipotentiary of the Republic of Palau to Japan wrapped up the seminar by delivering his closing remarks. Presentation: Mr. Kevin Mesebeluu, Director, Bureau of Tourism, Ministry of Natural Resources, Environment, and Tourism.